For whatever reason, sometimes kids have a hard time realizing how simple it is to add with tens. 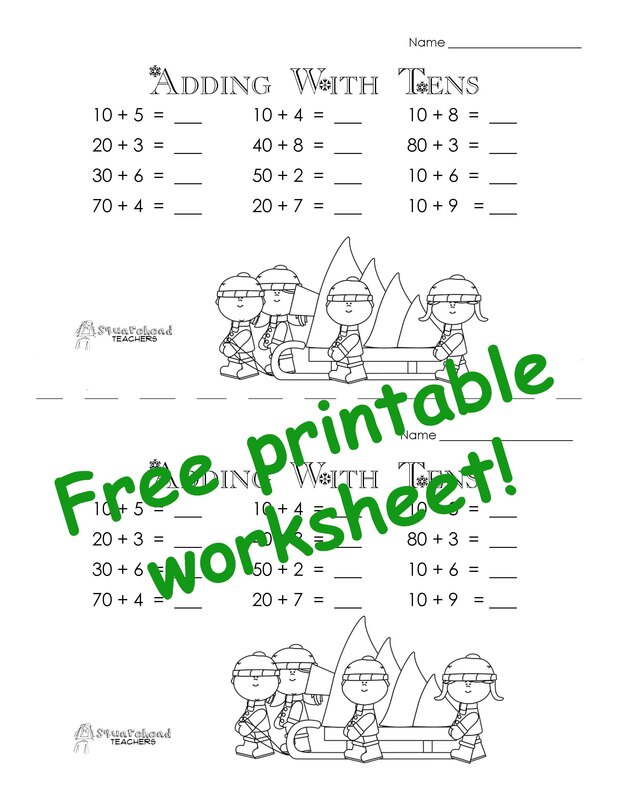 Here’s a short (HALF SHEET) worksheet to help reinforce some basic number sense with tens. Run off copies for HALF the number of students in your class since there are two copies per page. Then cut the sheet in half and distribute. Merry Christmas! This entry was posted in Addition, Christmas/Winter, Holidays/Seasons, Math and tagged addition, Children, Christmas, Education, Elementary School, Homeschool, Kids, Math, school, Teacher Resources, Teachers, Teaching, winter by Squarehead Teachers. Bookmark the permalink.